The Macedonian political crisis, which started in February last year and intensified over the last few months, reached another peak last week. This post was initially intended to present the results of the early election on June 5th. In the course of the events over the last few days, the topic slightly shifted: away from the parliamentary elections towards an analysis of the political crisis in Macedonia and the president’s role in it. In the following I will briefly describe the spying and corruption scandal, which triggered the political crisis and analyze the presidential role in the pardoning of a variety of accused and involved persons. In February 2015, Zoran Zaev, head of the Social Democratic Union (SDSM) and leader of Macedonia’s opposition made the news of a dramatic spying operation public. The information on the spying was shared – most probably – by a whistle blower within the intelligence service. This operation was reportedly initiated and used by then Prime Minister Nikola Gruevski (VMRO-DPMNE). Media reports and international observers argue that Gruevski – as one media outlet put it “wanted to know exactly was going on in the country” (Less 2016). Gruevski used this knowledge to preserve and even expand his political influence and power. It is also reported that he had knowledge over a variety of business enterprises and used this for his personal gain. These tapes revealed fraud, government corruption, criminality and various events of misconduct by all levels of government. Thus, not only did these tapes reveal massive corruption and illegal behavior but also that the highest level of government was informed. Florian Bieber characterized the tapings as follows: „The content of the tapes reveals a comprehensive, deep, and sophisticated system of corrupt and authoritarian rule, while the conversations are marked with profanity, hate speech, slander and ethnic slurs that are unacceptable in everyday communication“ (Bieber 2015). After months of political unrest and protests the European Union finally became involved and forced the rivaling political parties of Macedonia to settle their conflict with the Pržino Agreement (EU Commission 2015). This agreement was aimed to allow for a peaceful resignation of the government (in particular PM Gruevski in January 2016) and the establishment of a special prosecutor to investigate the corruption revealed by the tapes. Against the suggestions of the leading opposition party, early parliamentary elections were scheduled for June 5, 2016 after a controversial dissolution of parliament. To further hamper the accounting of the tapings and thus increase the conflict intensity, President Gjorge Ivanov pardoned “dozens of public figures embroiled in a wiretapping scandal” (RFE/RL 2016). This decision was criticized by nearly all political parties (also from some of those involved in the scandal) and triggered again massive protests throughout the country (Marusic 2016). The decision to pardon is – from a more general perspective – part of a legal tradition one would associate primarily with common law countries as the power of the monarch. However, most civil and common-law countries have traditionally established some form of clemency or executive pardon (Novak 2015). Most famously is probably the U.S. context, particular the 1974 pardoning of former President Richard Nixon by then President Henry Ford (see Crouch 2008). In Eastern Europe we can observe a variety of ways in which the president has the right to issue a legislative amnesty or executive clemency; e.g. the Polish case comes to mind. The Polish President can issue a pardon without countersignature by the responsible minister or the prime minister (although for some competences the countersignature is indeed necessary, Art. 144 constitution). In the Macedonian case, the president possesses similar power in this respect, Art. 84 of the constitution reads: “[the president] grants pardons in accordance with the law”. As in the polish case, a countersignature by the prime minister is not envisaged (and is in general not stipulated in the constitution). In line with this competence, President Ivanov pardoned a group of 56 politicians (and their associates), who were involved in the earlier mentioned spying and corruption scandal. Among the pardoned persons were the former Prime Minister Gruevski and other presidential allies. Furthermore, in an attempt to offer a „blanket amnesty“ (Casule 2016) he also pardoned the opposition leader Zoran Zaev as an ally of the whistleblower. In yet another move, facing massive public protests, Ivanov revoked his decision for 22 of the 56 persons initially pardoned. Parliament had in an earlier decision provided the legal means to revoke the pardoning decision. This was accompanied by the decision of the constitutional court to stop all activity related to the snap elections. After the constitutional court declared the dissolution of the assembly unconstitutional – following the complaint of one coalition partner (DUI, Democratic Union for Integration) – parliament decided to move the elections as all political parties, except the ruling VMRO-DPMNE, boycotted the elections in the aftermaths of the pardons (Mikhaylova 2016). Deputies of the national assembly then decided to postpone the snap election (without confirming a new date). The decision was made with 96 votes in favor out of 123 votes (Marusic 2016). To contribute one more element to the political crisis, parliament – upon the proposal of 50 deputies from the Social Democrats – decided to start proceedings for the impeachment of President Ivanov (Parliament 2016). It is highly unlikely that the parliamentary groups will find a consensus and cooperate in this matter. Thus, the impeachment process will most likely fail. Yet, it remains to be seen if the uprising against the corrupt practices in the streets of Skopje and throughout the country will lead to a genuine democratic development or will run its course. Bieber, Florian (2015): Gruevski Does Not Deserve Any More Chances. June 23, in: http://www.balkaninsight.com/en/blog/gruevski-does-not-deserve-any-more-chances (last accessed June 5, 2016). Crouch, Jeffrey. “The law: Presidential misuse of the pardon power.” Presidential Studies Quarterly 38.4 (2008): 722-734.
http://www.independent.co.uk/voices/macedonia-reaching-crisis-point-the-west-is-looking-the-other-way-a7061541.html (last accessed June 3, 2016). Marusic, Sinisa Jakov (2016): Macedonia President Pardons Politicians Facing Charges,. April 12, in: http://www.balkaninsight.com/en/article/macedonia-president-abolishes-incriminated-politicians-04-12-2016#sthash.w6BHkrby.dpuf (last accessed June 2, 2016). Novak, Andrew. Comparative Executive Clemency: The Constitutional Pardon Power and the Prerogative of Mercy in Global Perspective. Routledge, 2015. Parliament (2016): Седници на работни тела. June 6, in: http://www.sobranie.mk/agenda-2016-ns_article-committee-on-evaluation-6-6-16.nspx (last accessed June 6, 2016). RFE/RL (2016): Macedonian Opposition Sets Conditions For Talks On Settling Crisis. April 21, in: http://www.rferl.org/content/macedonian-opposition-sets-conditions-talks-on-settling-political-crisis/27687571.html (last accessed June 3, 2016). This entry was posted in Macedonia, Semi-presidentialism and tagged Macedonia, parliamentary election on June 7, 2016 by Anna Fruhstorfer. Macedonia has faced numerous challenges since it declared independence on September 8, 1991. It was the least developed and smallest of the former Federal Republic of Yugoslavia’s (FRY) six republics, with a current population of only about 2.1 million. Macedonia is ethnically divided. Its population consists of about 65% Macedonians, 25% Albanians, and smaller numbers of Serbs, Roma, Turks and Bulgarians. Prior to its inclusion on Yugoslavia, the region has been subject to rivalry between neighboring powers, and has been occupied by the Ottoman Turks, Bulgaria, Greece and Serbia. Its postcommunist political development has been mixed. It was the only former FRY republic to secede peacefully and has held a series of competitive legislative and presidential elections. But democratic accountability is limited, and inter-ethnic relations have been challenging. In 2001 conflict broke out between the Macedonian majority and the Albanian ethnic minority, in part due to spill over from fighting in neighboring Kosovo. While a negotiated settlement was reached in the 2001 Ohrid Framework Agreement, tension remains high between the majority and minority communities. Macedonia is a semi-presidential system, in which the preponderance of authority is vested in the prime minister and cabinet. The country’s president is elected to a five year term and is limited to two terms. The first individual to hold the post, Kiro Gligorov, was selected by the National Assembly in 1991, then elected in 1994 and remained in office until 1999. Since the first popular election for the president in 1994, the electoral system (two round run-off) has remained stable. Parliamentary elections have been held under three different systems since independence. Initially a two ballot runoff majority identical to the presidential system was employed. In 1998 a mixed system was introduced in which two ballot runoff was retained for 85 seats in the national assembly and 35 MPs were chosen according two closed list PR in a single national district. Following the Ohrid Framework Agreement that ended the conflict in 2001, the current system of closed list proportional representation in six electoral districts was introduced. The Macedonian political system can fairly be characterized as an “ethnic condominium.” Over the course of the past twenty years or so party competition has been organized around four major parties, the Internal Macedonian Revolutionary Organization-Democratic Party for Macedonian Unity (VMRO-DPMNE), the Social Democratic Union of Macedonia (SDSM) represent ethnic Macedonian constituents. Since 2002 the Democratic Party of Albanians (DPA), and the Democratic Union for Integration DUI have shared the bulk of the ethnic Albanian vote. In addition to these major players, numerous small parties have participated in both presidential and legislative elections, either in coalitions or independently. Very little inter-ethnic voting occurs, and no party appealing to an inter-ethnic constituency has gained power since independence. Intra-ethnic party competition, on the other hand, has been quite intense. Within this highly segregated construction, comity has been maintained among ethnic elites through an informal agreement that every cabinet will include representatives of the Albanian minority. This is a particularly important consideration in Macedonia, where clientelism is rife and the state serves as a critical source of employment, investment and social benefits. The allocation of ministries to Albanian politicians ensures that they can distribute resources to their supporters. In principle either of the majority ethnicity party could form a coalition with either of the minority parties, providing a degree of political flexibility. In practice, the most successful party on the Macedonian side enters into an agreement with the strongest of the Albanian contenders. The single case in which this did not occur (2006 when VMRO-DPME formed an alliance with the DPA despite the fact that the Democratic Union of Albanians was the more successful in elections) was met with protests and demonstrations on the Albanian side. In the succeeding election Macedonian party leaders reverted to form, allying with the winning Albanian party. The majoritarian nature of presidential voting provides at least the opportunity for cross ethnic voting and coalition building, given the fact that neither of the major Macedonian parties has been able to mobilize a majority of voters for a first round win. However, the depth of the inter-ethnic cleavage in the country seems to overpower this logic. More recently, it appears that the presidential contest can be a source of considerable tension rather than providing an incentive to cooperate across ethnic lines. In the run-up to the April 2014 election VMRO-DPME’s Albanian junior coalition partner, the DUI, insisted that a common “consensus candidate” be nominated for the position. When VMRO balked at the idea and nominated sitting President Gjorge Ivanov to run for a second term the DUI introduced a motion of dissolution, forcing early legislative elections, also held in April 2014. Most of Macedonia’s postcommunist history has been characterized by inter-elite completion within compartmentalized ethnic communities, as described above. In recent years, however, democratic space has narrowed and completion has declined in both the majority and minority communities as the VMRO-DPME and DUI respectively have consolidated dominant positions among their voters. While elections are formally free, the ruling parties successfully made use of public resources and an increasingly tight hold on both public and private media to limit competition. Civil Society organizations aligned with the opposition have faced harassment and official pressure and complaints of partisan judicial prosecutions are on the rise. VMRO-DPMNE has now won parliamentary elections in 2006, 2008, 2011 and 2014, local elections in 2013, and Presidential elections in 2014. In the 2014 parliamentary elections, VMRO-DPMNE came close to winning an outright majority in the National Assembly for the first time in history, taking 61 of the 123 seats. Its Albanian minority coalition partner, the DUI has similarly consolidated its position, out polling the DPA in each legislative contest and increasing its lead from 12.2% to 7.5% in 2006, to 13.7% to 5.9%. Perhaps more significantly, the dominant party partners have gained near complete control over mayors offices. Most recently, in 2013 local elections, VMRO-DPME won 56 mayors races, DUI 14, SDSM 4 and DPA 2. These positions are critical in the Macedonian context because they serve as centers for patronage and allow the national parties to extend their control over local electorates. This illiberal turn in Macedonia has influenced the balance of power among political institutions. While constitutional relationships remain largely unchanged on the formal level, practically, power has been concentrated in the hands of VMRO-DPME party leader and Prime Minister Nikola Gruevski. In the legislature-government relationship, the role of the legislature progressively diminished in favor the prime minister’s office and the cabinet. Within the executive, Prime Minister Gruevski dominates the cabinet, and his public presence overwhelms the role of President Ivanov. While President Ivanov retains official functions such as presiding over the Security Council and nominating some top judicial positions on the Constitutional Court and Judicial Council, it is difficult to imagine that he would take any action independent of the Prime Minister. Like the legislature, the Macedonian presidency has been reduced to its ceremonial and symbolic functions while substantive power flows into the hands of Nikola Gruevski in his roles as prime minister and party leader. This entry was posted in Europe, Macedonia and tagged Macedonia on October 6, 2015 by William Crowther. Another snap parliamentary election was held in Macedonia on 27 April, the third in a row since 2008. The outgoing coalition of the Internal Macedonian Revolutionary Organization – Democratic Party for Macedonian National Unity (VMRO–DPMNE) and the Albanian Democratic Union for Integration (DUI) won more seats than in 2011. The ruling party’s candidate, incumbent Gjorge Ivanov, also won the presidential run-off comfortably, with more than 55% of the votes against Stevo Pendarovski, the candidate backed up by the opposition social democrats. The reason for calling early parliamentary elections was the dispute between the two coalition partners over the incumbent president’s candidacy for a second term in office. The DUI party’s calls for a common presidential candidate were turned down by VMRO-DPMNE, who decided to endorse the incumbent president’s bid for a second term in office. The DUI, however, did not regard President Ivanov as a legitimate candidate for the Albanian community. As a result, the junior coalition party filed a motion to dissolve the parliament and organise early elections concurrently with the presidential run-off. The motion was debated on 5 March in parliament and approved unanimously by the ruling parties and the opposition. Although the DUI called an early general election in protest over their coalition partner’s choice of a presidential candidate, the party did not run their own candidate in the contest. Moreover, Albanian voters were advised to refrain from voting although an Albanian candidate nominated by the Democratic Party of Albanians (DPA) participated in the first round. An outspoken critic of the government, Stevo Pendarovski, the candidate supported by the opposition social-democrats, was also more likely to appeal to Albanian voters than the incumbent. Ultimately, the DUI did not leave the coalition with VMRO-DPMNE. Given their good results in the 2013 local elections, it looked like the political crisis over the presidential nomination had been staged in order to call for early general elections that advantaged both ruling parties. Unlike in 2011, the fortunes of the two coalition partners increased after the snap election. The VMRO–DPMNE party is now just one seat short of the absolute majority in the 123-seat parliament. The margin between the most successful Albanian parties also increased in favour of the incumbent DUI. Although a new centre-right party managed to enter the parliament, the early election weakened the opposition parties and especially the social democrats, who lost 8 seats. As a result, the outgoing coalition is expected to continue in office with VMRO–DPMNE leader Nikola Gruevski as prime minister. The difference in turnout between the two polls confirms the secondary importance of presidential elections compared to the parliamentary ones in Macedonia. Therefore, the president is likely to remain in the prime minister’s shadow. He may also become a factor of further ethnic tension, given the Albanian community’s boycott of the presidential election. As far as the future of Macedonia’s consociational arrangement is concerned, these elections raise an important question. 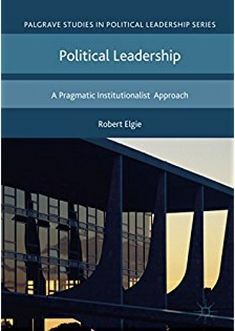 Will the present institutional arrangements reign in the increasing nationalist rhetoric of the two governing parties, or will their increasing nationalism doom the present consociational balance? This entry was posted in Europe, Macedonia and tagged concurrent elections, Gjorge Ivanov, Macedonia, Nikola Gruevski, parliamentary election, presidential election, turnout on April 30, 2014 by Cristina Bucur. Although the incumbent president won an absolute majority of the votes cast, a run-off will be organized on 27 April. According to article 81 of the 1991 constitution, a candidate needs the support of a majority of the eligible voters in order to win the contest. Therefore, a second presidential round is needed this time because fewer than 50% of the registered electorate turned out to vote. However, the participation threshold required for the validity of the second presidential round was reduced to 40% by a constitutional amendment passed in 2008. Three factors may explain the low electoral turnout. First, election reports have indicated that the Albanian minority, which makes up about 25% of Macedonia’s population, did not turn out to vote. The boycott was recommended by the Albanian Democratic Union for Integration (DUI), the junior party in the ruling coalition led by the right-wing populist VMRO-DPMNE party. DUI opposed VMRO-DPMNE party’s decision to endorse President Ivanov for a second presidential mandate and demanded that a more “consensual” candidacy, acceptable to both Albanian and Macedonian voters, be put forward. The disagreement between the two coalition partners over a common presidential candidate sparked a political crisis that resulted in the calling of an early general election. The snap parliamentary election will coincide with the presidential run-off on 27 April. Second, according to the OSCE/ODIHR mission to Skopje, the electoral campaign lacked a proper level of political analysis and independent reporting. Due to the ruling party’s direct control over the media, the incumbent president enjoyed a significant advantage in resources and paid advertising in comparison to the opposition candidates. The heavy involvement of the VMRO-DPMNE party in the presidential campaign prevented the emergence of a real political debate. Third, the Macedonian presidency is seen as a largely ceremonial office. However, the president is granted several important powers. For example, he has the right to request the assembly to re-examine any bill once before signing it into law (art. 70) and he can also address the parliament on issues within his competency at least once a year (art. 85). However, President Ivanov has never used his power to challenge controversial laws and his political speeches have always echoed the positions taken by the prime minister. His role in international affairs has also been limited, although the constitution grants him significant powers in this area. For example, the head of state is the commander of the armed forces (art. 79), presides over the country’s Security Council and appoints three members of this body (art. 86). Overall, Gjorge Ivanov has been characterised as a president in the prime minister’s shadow. Gjorge Ivanov’s profile contrasts with that of his challenger in the run-off, Stevo Pendarovski. Although a newcomer in the Social Democratic Party, the main opposition party, Pendarovski has extensive political experience, having served as a key advisor under two former presidents. An outspoken critic of the incumbent government, Pendarovski has vowed to restore the importance of the presidential office and to bring Macedonia closer to the EU and NATO. President Ivanov looks set to win the run-off. His chances are boosted by the advantage that the VMRO-DPMNE party has in the general election as well as by the abstention of the Albanian community. Moreover, the coincidence of parliamentary and presidential elections on 27 April minimizes the risk that the election is invalidated due to low electoral turnout. This entry was posted in Europe, Macedonia and tagged electoral turnout, Gjorge Ivanov, participation threshold, presidential election, Presidential powers, semi-presidentialism, Stevo Pendarovski on April 17, 2014 by Cristina Bucur.